This 14-inch notebook will use a low power AMD "Mullins" quad-core processor and its price will allow it to compete with the Chromebooks. Chromebooks sell quite well lately and it looks like Microsoft and their partners were serious when they promised Windows laptops with prices below $250 USD. German website Mobile Geeks revealed earlier today that HP will soon unveil a 14-inch Windows notebook powered by a quad-core AMD processor from the Mullins family. 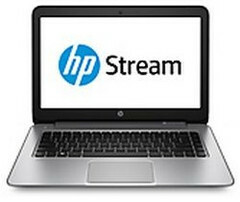 The HP Stream will probably be the second portable to use a new AMD "Mullins" chip, the first one being HP Pavilion 10z. Unfortunately, the company still has to officially unveil HP Stream, so we will get back to it as soon as that happens.